Bite wing x-rays are the most common x-rays taken in our Laser Family and Cosmetic Dentistry. A small packet of x-ray film is placed inside your mouth. When you bite on the tab on the side of the packet, the film becomes properly aligned to get a picture of your upper and lower teeth at the same time. A lead apron is draped over you to protect the rest of your body while Houston dentist x-rays your mouth. 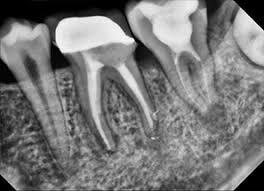 Dental x-rays use high-speed film, so the amount of radiation exposure is very low. Though machines vary, bitewing x-rays only add as much radiation as you’d get from about 3 extra weeks of natural background radiation. Even if you’ve recently had other x-rays taken, bitewing x-rays do not add to that exposure. 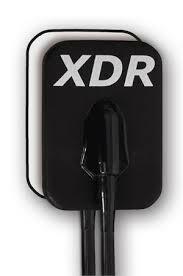 In our office we are using advanced digital xray sensor (named XDR) to take the bitewing xray. This technique allows us to use about 90 percent less xray than the traditional xray film. The four bitewings radiation exposure is equal to going out in the sun for 3-5 minutes. So, it is not likely that taking the dental digital xray will increase the risk of cancer. In addition the images captured by the digital xray sensors can be enhanced and magnified by the computer software. These images can be transferred instantly for viewing by insurance as well as other professionals. Bitewing x-rays are a necessary part of regular dental checkups. They give our Houston dentist vital information that she can’t get from any other source.